If you’ve been waiting for The Walking Dead: 400 Days, wait no longer! 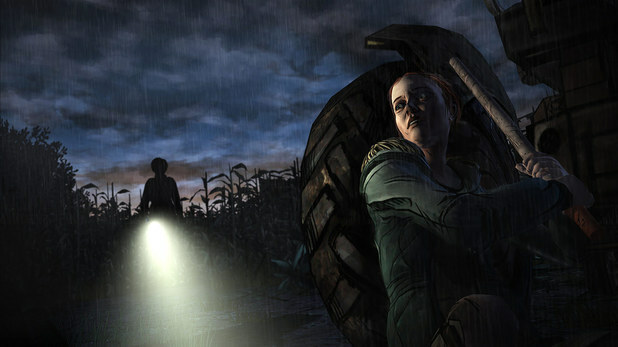 The DLC for Telltale Games‘ adventure game based on Robert Kirkman’s The Walking Dead comic book series was released July 2nd on PSN in North America for the PlayStation 3. The Windows and Mac OS versions of the DLC will be released worldwide today on Steam and Telltale Games’ online store, the Xbox 360 version will be released worldwide July 5th on Xbox Live, the European PSN release will arrive July 10th, and the iOS version will be released worldwide July 11th on Apple’s App Store. The Walking Dead: 400 Days tells five different short stories spanning the first 400 days of the main story’s zombie outbreak (hence the name). These stories will shed some light on the world we saw in Season One of the game. The decisions you made in Season One’s five episodes will affect your playthrough of 400 Days. Additionally, your decisions in the DLC will carry over into the second season of the game coming this fall. Since you need to have at least Episode One of The Walking Dead to play 400 Days, Telltale has made this episode free on PSN for a limited time. So if you have a PS3, even if you haven’t played the first season, you can still enjoy 400 Days, since all five stories are separate from the story of Season One protagonists Lee and Clementine. The Walking Dead: 400 Days is currently selling for $4.99 (USD/CAD). If you’re looking to play the game on the PS Vita instead of the PS3, don’t worry—the Vita version of the first season will be released this August and will include 400 Days.